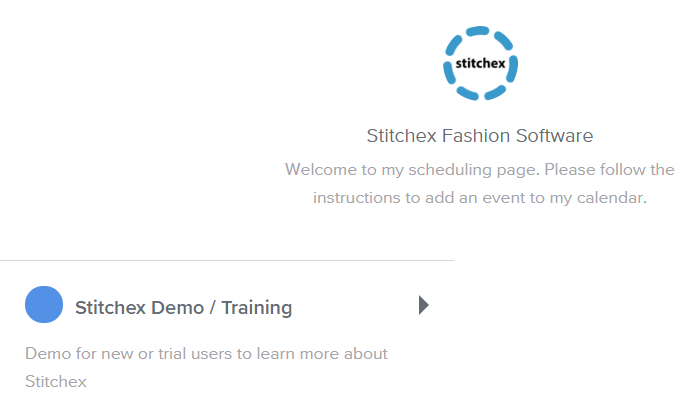 Schedule a Demo Training Session for new or trial users to learn more about Stitchex. Select the date and time that works best for you. The URL to schedule training with Lauren is at https://calendly.com/stitchex. These training sessions are online only. At this time, Stitchex does not offer in person training. In person training can get really expensive due to travel and time involved. Web sessions are free and very effective. You can schedule several web sessions as needed.